Italian maker of early automobiles. Itala was an exotic car manufacturer based in Turin, Italy from 1904-1934, started by Matteo Ceirano and five partners in 1903. Three cars were offered in the first year, an 18hp, a 24hp and a 50hp. In 1905 they started making very large engined racing cars with a 14.8 Litre 5 cylinder model which won the Coppa Florio and the year after that the Targa Florio. 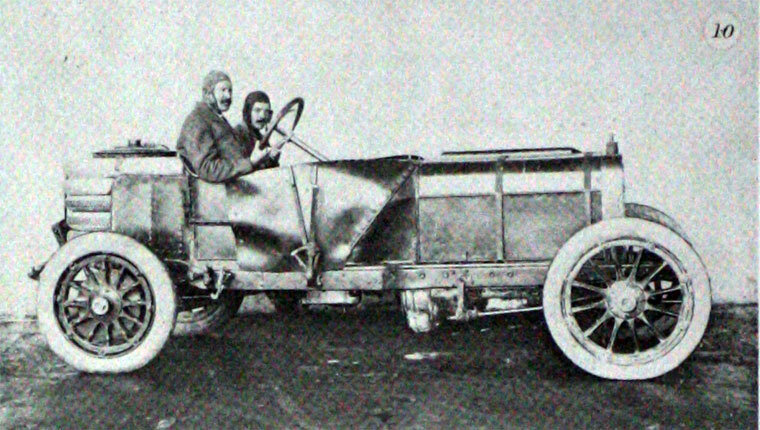 In 1907 a 7,433 cc 35/45hp model driven by Count Scipione Borghese won the Peking to Paris motor race by three weeks. These sporting successes helped sales dramatically, the company continued to grow. The company experimented with a range of novel engines such as variable stroke, sleeve valve, and "Avalve" rotary types and at the beginning of WW1, offered a wide range of cars. During the war Itala built aeroplane engines but made a loss producing them. This page was last edited on 5 December 2017, at 12:57.